THE FAMILY Most people who'll watch Meryl Streep in anything can skip this one. Metaphors in film are rarely subtle. The lonely padre dying of stomach cancer in Diary of a Country Priest is an elegant symbol, a devout person corroding from the inside. On the other side of the ledger, legions of movie mothers have contracted breast cancer as punishment for not being nurturing enough. In August: Osage County, Meryl Streep's Violet is afflicted with oral cancer: it scalds her mouth as payment for the acid she's belched up on her family over the years. Her hair is patchy from chemo, but her tongue is in perfect working order, except when the pills ("my best friends!") send her into a case of nigh-Pentecostal glossolalia. Violet's husband (Sam Shepard), a sensitive academic drunk, has vanished, and she calls her angry family to her side, awaiting his return. Director John Wells, a TV vet smooth with transitions, does almost nothing with this theatrical source material except to watch Streep spellbound. But Streep is too forceful an actor to go for half measures. Such is her career: when she's on, she's brilliant, and when she's bad, you need a gas mask. Streep has been in more difficult material, such as Ironweed, and that excellent Fred Schepisi film everybody mocks, A Cry in the Dark. She's tried harder, but in August: Osage County, she's never been worse. 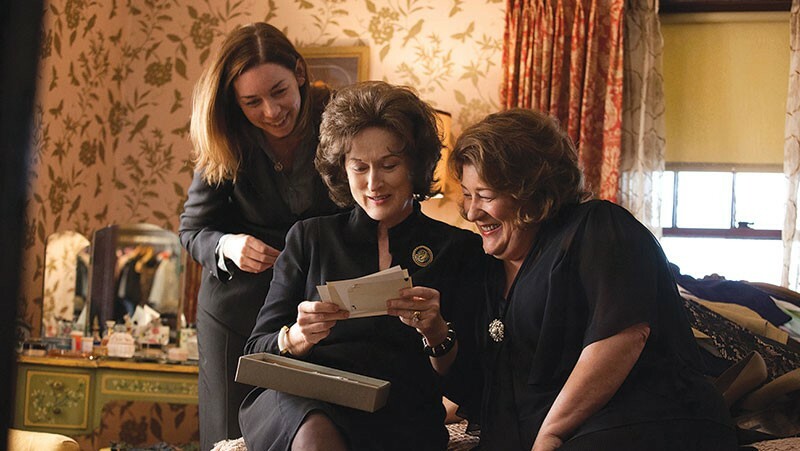 'August: Osage County' is in select theaters now.